The RIMS Conference, presented by the Risk Management Society, is one of the largest conferences for the risk management and insurance industry. We have been avid attendees and exhibitors for over a decade and we cannot get enough of the education, network, and incredible community this event cultivates. As with any conference, especially one that boasts over 10,000 attendees, it can get pretty overwhelming. With an exhibit hall that will log you well over a week’s worth of steps in just a few hours, you’re bound to end up with a strong case of FOMO. Have no fear, these are our best tips to make the most of your RIMS Conference. 1. Update your digital presence. Although conferences can be fun and exciting, it still roots in business and professionalism. Whether you’re here to garner new leads, connect with current clients, or form long-lasting partnerships, you need to be on your A-game. Before you even step into the convention hall, make sure your digital presence is updated. We’re talking LinkedIn, Facebook, Twitter, your company’s website, and anywhere else your name is hosted. Make sure your contact information is easily accessible and most importantly, that your social sites are up to date. The last thing you want is for a potential lead to look you up and find an old email associated with your old company. 2. Pre-connect with contacts before the conference. Know some people that you really want to meet? Make it easier to connect by pre-connecting! Reach out via LinkedIn or email and genuinely share how you know of them and why you want to connect at the conference. Remember, everyone will be extremely busy during this week, so don’t feel rejected if they can’t meet for a meal or coffee. Instead, ask them where they will be and how you can make it easy by coming to them. They’ll appreciate your thoughtfulness and feel more inclined to connect. 3. Schedule your events, meetings, and happy hours, but be flexible. There is so much going on this week and it boggles our mind every year. It’s important to stay organized and schedule in the most crucial places you need to be, and jot down backup options in case you have extra time. Take your meetings with business leads and clients first and foremost – the happy hours come second. If you do make it to some fun outings, please be courteous and thank the companies and organizations that hosted you whether it’s via social media or through an email after the conference. We are proud to be sponsoring the Spencer Ed charity run for the third year in a row. 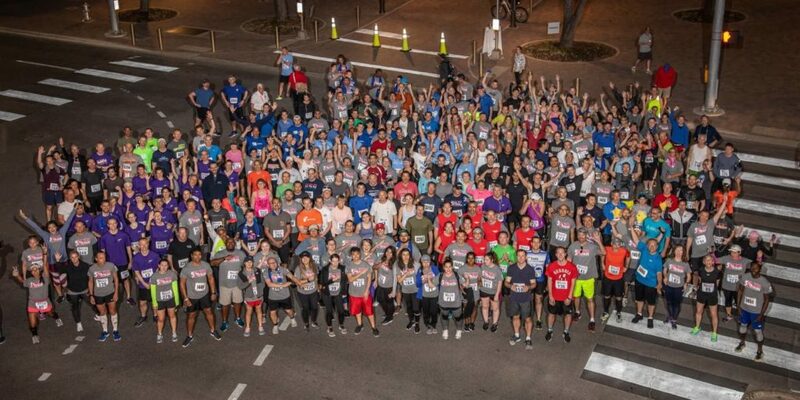 That’s right, we have woken up before the break of dawn to support the future of risk management and insurance for three consecutive years and we’re not stopping anytime soon! All the funds donated to Spencer Ed funds scholarships for up and coming industry students. This year’s race is taking place on Tuesday, April 30th at 6:30am on the Boston Commons. Register here! 5. Follow up with everyone the following week. It’s going to be a jam-packed week and we guarantee that once everyone returns to the office on Thursday or Friday, it’s still going to feel like a long, tiring week. Give all your new connections a break by following up first thing Monday morning. It doesn’t have to be a long winded email – a simple hello, thank you, and steps on how to keep in touch are perfect. Don’t forget to include a tidbit on your conversation together and how you connected just in case they have a case of the Mondays. 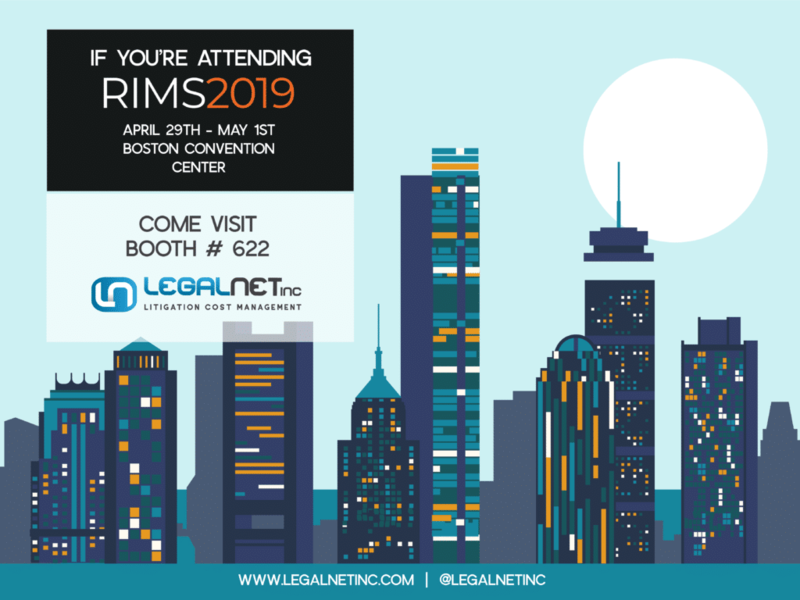 We look forward to seeing you in Boston, MA for RIMS 2019! Come visit us at Booth #622 for a sweet picnic, complete with hot cookies! We can’t wait to show you how litigation cost management can be a walk in the park.